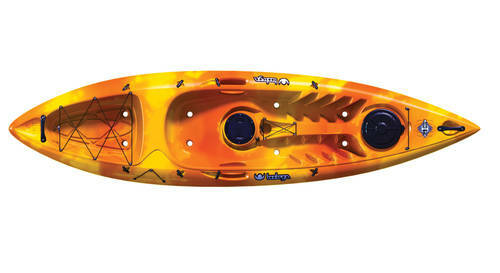 Tootega's all round sit on top, for the paddler who wants to do a bit of everything. 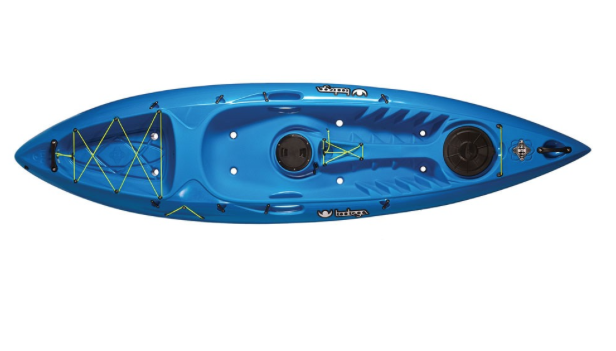 The Tootega Kinetic 100 has been designed to be a versatile Sit on Top which can handle anything you throw at it, whether your taking it down to the coast or just looking for something to use on the local canals, river or lakes. At only 10 foot long the the Kinetic 100 is a managable size both on and off the water with the 'cut out' handles making it easy carry or put on the roof of the car. Crucially for a boat that can do a bit of everything the Kinetic feels very stable in the water but with the added bonus of great all round performance, with what Tootega are calling a "hybrid C hull," which is designed to maximise paddling efficiency with good forward speed and tracking, even in choppier water. Keeping the boat on course is made even easier thanks to the ​drop down skeg. If you do need to change direction quickly though a continuous rocker from the bow to the stern throughout the hull helps make the boat responsive and manoeuvrable for easier handling. . Finally the Kinetic offers really good storage option so if you want to take some kit with you can load up the dry compartments with a large bow hatch and handy 'day' hatch easily accessible just in front of seat. with the skeg up you'll be able to carve into waves and spin the boat effortlessly... A perfect all rounder!